One of the best ways to celebrate a birthday with someone that you love is by taking them to a nice restaurant for them to enjoy a great meal. Not only does going out to eat with your loved one give you an opportunity to spend time together and talk, but it also allows you to try a new food or enjoy another experience of a food that you love. However, if you are thinking of taking someone out to celebrate their birthday, you may be feeling unsure of where to go. To help you pick the perfect spot to go out and celebrate a loved one's birthday, take the practical approach. First, find out what options are available for you to choose from. How far are you willing to travel to find the perfect birthday meal? Look for restaurants in your area and try to keep an open mind at first. Look for places to eat in Andover MA or other neighborhoods by checking local forums, Facebook pages, and posts on your local next door app. This will help you to know what your options are. Then, think about what your friend who is celebrating his or her birthday would like most. Is he or she the kind of person who likes a quiet dinner in a private spot or would he or she enjoy a loud and extravagant meal at a popular hotspot? Think about what their favorite cuisine is and whether they would prefer to check out a new spot or would prefer to stick to a familiar place. Also, you should keep in mind the other people that you may be inviting to this meal. Does anyone have serious allergies or dietary restrictions that you should work with? Finally, keep in mind your own financial limitations and plans. If you invite your friend out for a birthday meal, you should expect to cover their bill, so plan accordingly. Then, go out and enjoy a great meal with them! 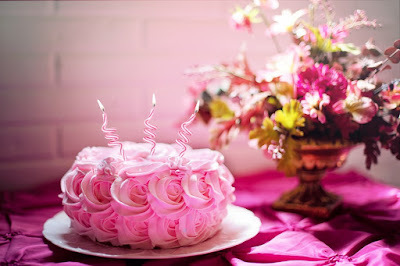 These are great tips on how to find a perfect place for a birthday dinner. It is important to find a place that the birthday person would enjoy.